Heavy duty, commercial grade, 2 person fishing raft! 9'8" self bailing hull, 18" pontoons, 66” width, high pressure drop stitch floor (like standing in a driftboat), 4 chambers (commercial grade! ), plus floor and thwart. Seven panel ends with 9” rise. Custom NRS frame with leaning bar, 8' , 2 pc Carlisle Oars with 8” Outfitter Blades, Atomic Aluminum Oarlocks. Handles like a sports car. Only 115 lbs and ready to drop in anywhere! No Trailer Required-Fits in the back of the truck or up on the roof rack! Absolutlely bomber! The ultimate 2 person commando fishing machine….retail: $2495, includes raft, frame, oars, oarlocks, pump, patch kit and carry/storage bag. The Creek Company is excited to introduce the Walton’s Thumb® Fisherman’s Multi-Tool. First made in the early ‘70s by Hank Roberts, this ingenious fisherman’s tool has so many unique and useful features for the fisherman, it needed to come back. Named after Izaak Walton, famous author of The Compleat Angler and the use of our opposing thumb, the Walton’s Thumb® features 10 unique functions that any fisherman can appreciate. There are 4 lever operated functions, including Pincer, Cutter, Crimper and Split Shot Remover, and 6 more including the folding tools: Knife, Screw Driver, Split Ring Remover, Scissor, Hook Eye Cleaner/Knot Pick and Lanyard Ring. The Walton’s Thumb is made of stainless steel, small enough to hang from your vest or keep in your pocket and packed with unique features not found on any other fisherman’s tool. Walton’s Thumb® the Ultimate Fisherman’s Tool and the prefect gift for every angler. Retail. $39.99. 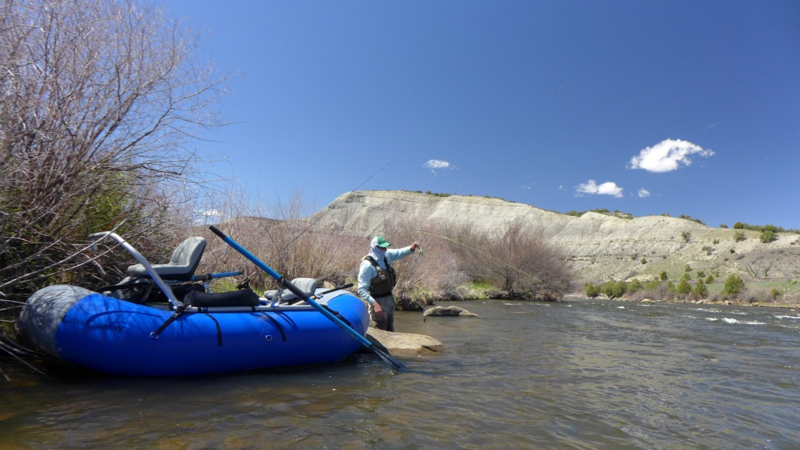 Creek Company a leader in fishing paddleboard innovation and personal fishing craft for 30 years, introduces their newest addition, the Sandpiper Inflatable SUP. At 10'6" x 29" x 6" and just 24 lbs, the Sandpiper Inflatable SUP is a lightweight, super rigid, all around perfect do everything board for the whole family. 10' 6" x 29" x 6" hull of double layers of .9mm PVC fitted with high pressure, 15 psi valve allowing for a very rigid board. 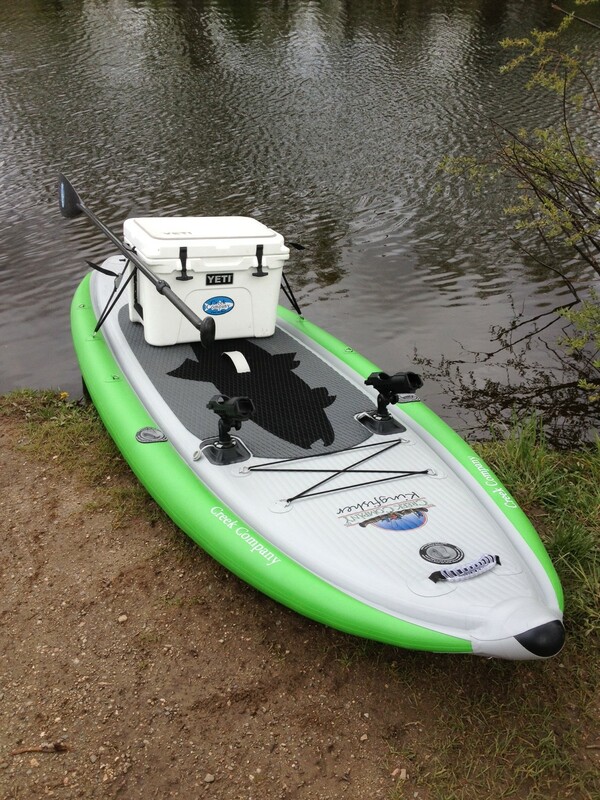 The new Sandpiper Inflatable Fishing SUP…high performance, go anywhere fun for the whole family. Creek Company a leader in fishing paddleboard innovation and personal fishing craft for 30 years, introduces their newest addition, the Kingfisher Inflatable Fishing SUP---The advanced design of the Kingfisher, which includes multiple chambers and integrated pontoon rails, creates a super stable, super rigid board. 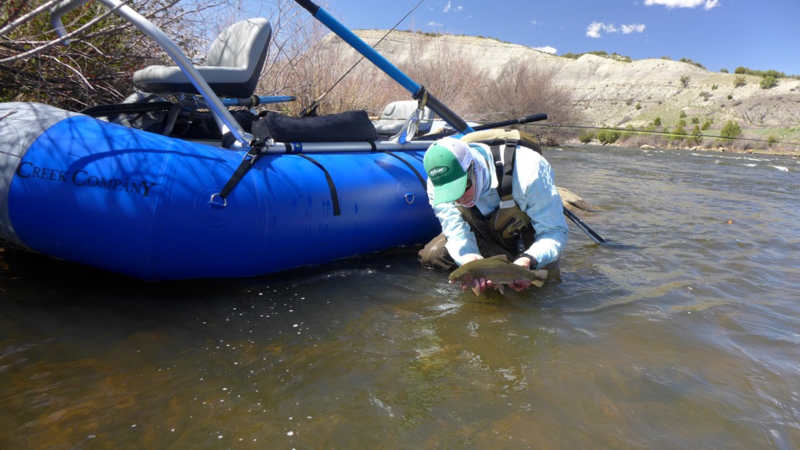 At 10' x 41" x 6", the extra wide Kingfisher provides all the stability you need to paddle rivers, lakes, flats and bays pursuing your favorite fish! The inflatable Kingfisher rolls up into its own backpack and goes with you anywhere! Plenty of D-rings and bungee for securing gear and a cooler. 2 pre-mounted rod holders. Be stealthy, cover more water, see more fish from an elevated line of sight and cast with full range of motion! The Kingfisher is inflatable and checks through on a plane or stows in your boat or car, so you can take it anywhere and fish any water, any time! 10' x 41" x 6" hull of double layers of .9mm PVC fitted with 3 high pressure, 15 psi valves allowing for a very rigid board. 3 separate chambers! 6" pontoon rails integrated with 4" deck.